11815 Meadow Lane Drive Warren, MI. | MLS# 219024099 | The premier resource for all real estate information and services in Metro Detroit. 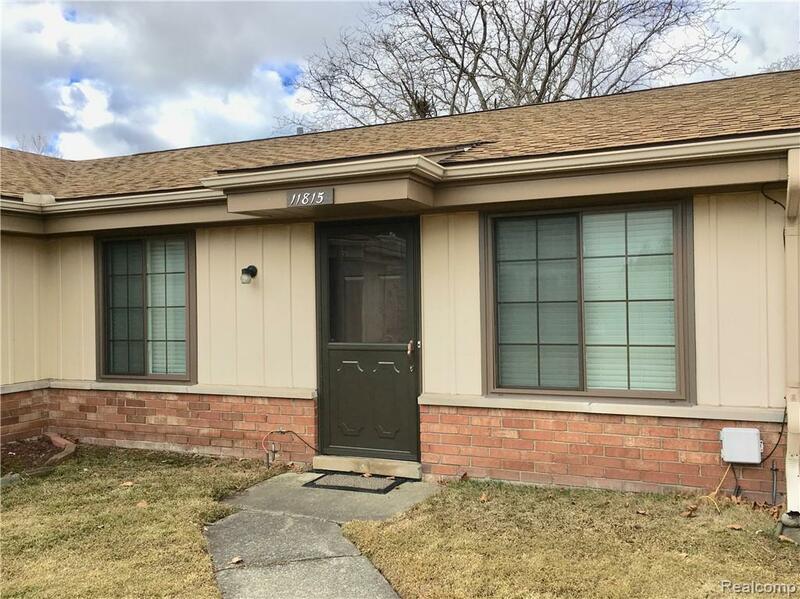 Beat the spring rush and check out this North Warren COMPLETELY REMODELED two bedroom condo with attached garage in Maple Lane Valley! Open concept layout maximizes the space and allows natural flow from living, dining and kitchen. Stunning kitchen features beautiful cabinetry including huge pantry and peninsula for extra bar seating. Master bedroom is generously sized and features a large closet. Full bath has awesome vanity with plenty of counter space and upgraded fixtures. Full size washer and dryer with laundry tub are included. Unit also includes a large storage closet with built in shelves. Outdoor patio just off the kitchen to enjoy morning coffee and summer nights. All updates have been completed within the last six months including bathroom and kitchen remodel, most flooring, fixtures, HVAC system, lighting, trim work, paint and blinds. The pictures tell the story...it doesn't get any more turn key than this!